For those seeking an anti-Valentine's Day movie to watch on this romantic holiday, you can't go wrong with the new thriller Haunter, which debuted on Blu-ray and DVD this week from IFC Films. 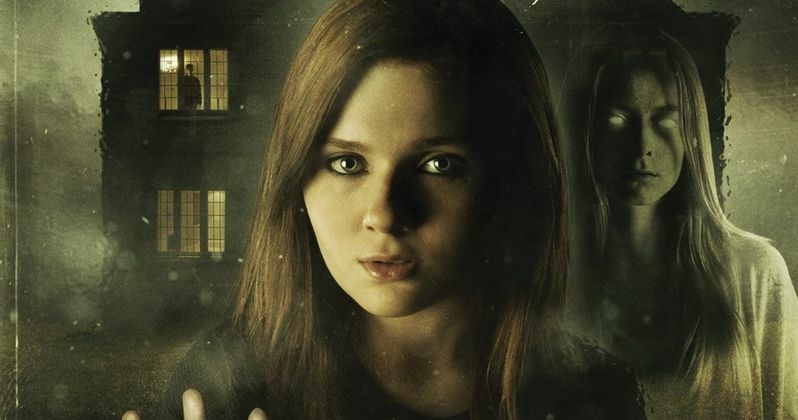 We have an exclusive interview with star Abigail Breslin, who plays Lisa. This teenager, along with her family, was brutally murdered nearly 30 years ago, although their spirits continue to roam the house thinking they are alive. Lisa begins to suspect her fate when a new family moves into her house, including the young Olivia, played by Eleanor Zichy. Take a look at our exclusive video, which also features interviews with Eleanor Zichy, along with behind-the-scenes footage from director Vincenzo Natali's thriller. Abigail Breslin (Little Miss Sunshine, August: Osage County, Zombieland) stars in director Vincenzo Natali's (Splice, Cube, ABCs of Death 2) unique take on the traditional haunted house story. In 1986, 15-year-old Lisa (Breslin) and her family died in their home under sinister circumstances. Unable to move on, their spirits have continued to roam the house. And for nearly 30 years, they have had to live the same miserable day over and over, never thinking they're anything but alive. But now, Lisa has started noticing things that make her believe that she and her uncomprehending family are in fact ghosts. On top of that, she realizes that she must reach out from beyond the grave to help her living counterpart Olivia and her family avoid the same gruesome fate that Lisa and her loved ones suffered all those years ago.